training charts, complete instructions with 70 exercises for muscle building, stretching, etc. The Taurus multi-gym Total Trainer is one of the most clever and most varied fitness equipment for strength training at home. Improve your health and fitness with the Taurus multi-gym Total Trainer and support muscle building and your general well being. 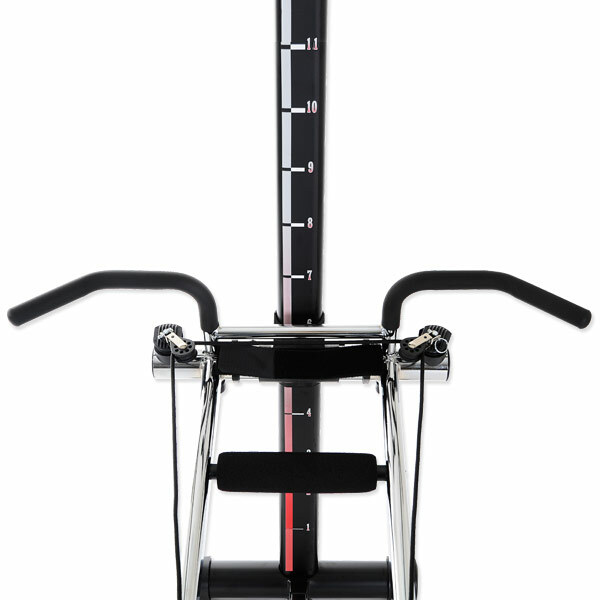 Work with your own body weight as training resistance while exercising with the Taurus multi-gym Total Trainer. Move the training sledge via a cable pull system. The sledge of the Taurus multi-gym Total Trainer is placed on smoothly running pulleys with ball bearings for a gentle, constant muscle building workout. 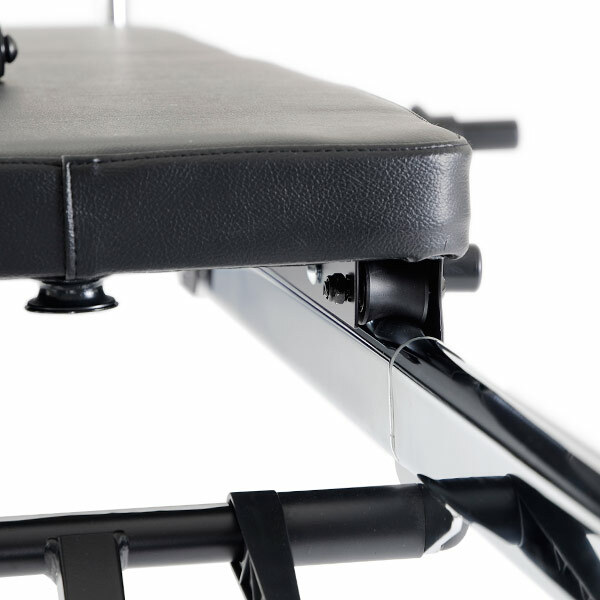 The degree of difficulty of strength training on the Taurus multi-gym Total Trainer can be changed by adjusting another incline or putting up to 50 kg of weight plates in addition. 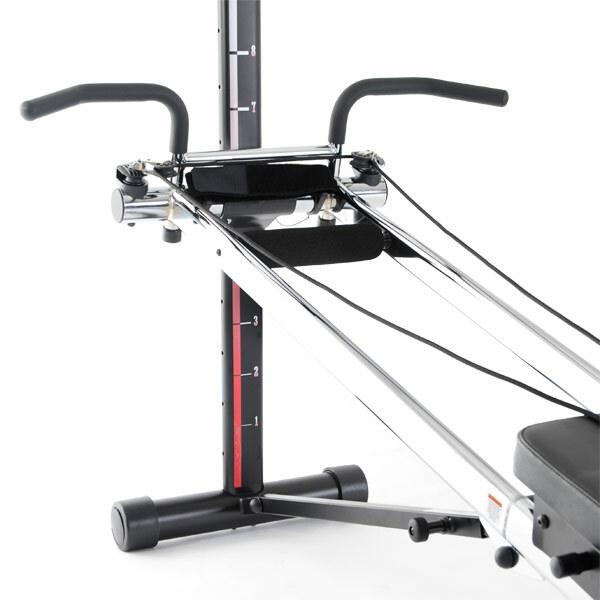 The small Taurus multi-gym Total Trainer offers a very versatile use. Cable pulls can be attached to different places of the sledge offering totally different exercises. Cable pull varieties and more than 50 basic exercises for muscle building are shown in detail in the manual of the Taurus multi-gym Total Trainer. 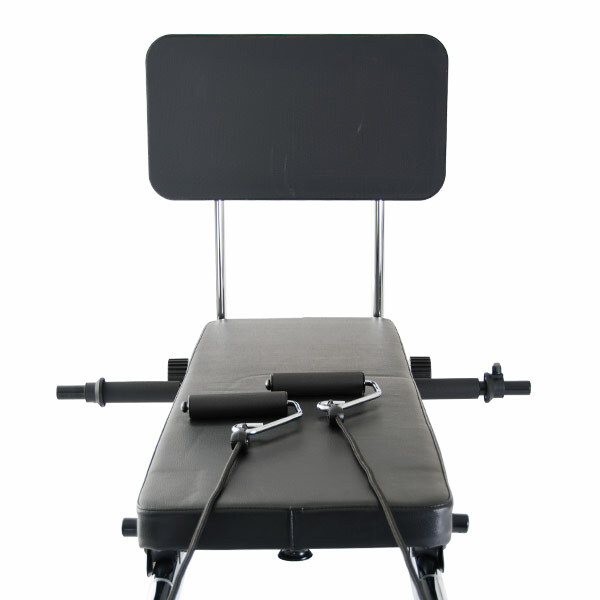 Besides the cable pull handles, the Taurus multi-gym Total Trainer offers a leg press and a handle for more diversion for strength training at home. Assembling the Taurus multi-gym Total Trainer is very easy. Most parts are already pre-assembled, you just have to open the Total Trainer. The multi-gym has an easy, safe folding mechanism. 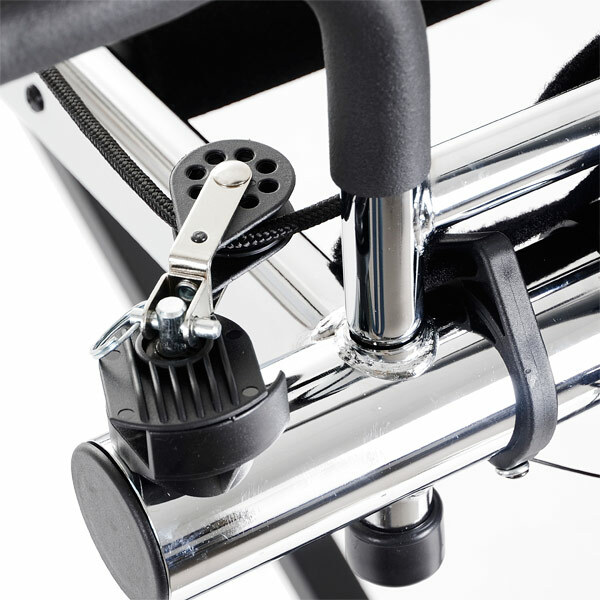 Leg press and pull grips are quickly exchanged thanks to easy plug system. 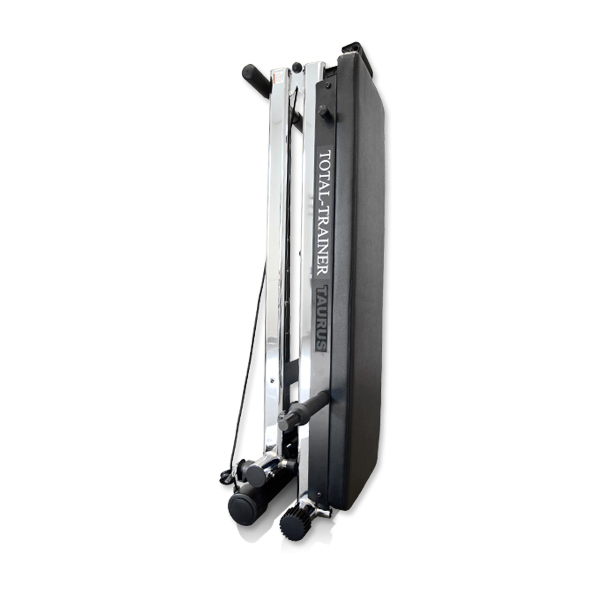 The Taurus multi-gym Total Trainer fits in each fitness room. 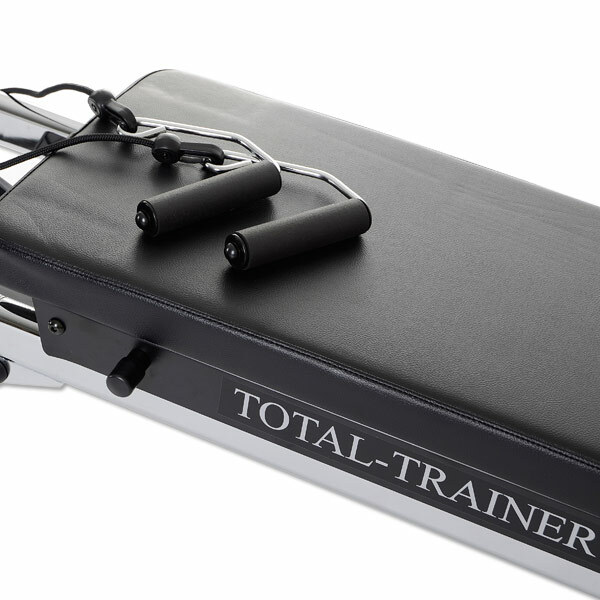 The Total Trainer: a gym with all you need for muscle building on less than 3 sqm and not higher than 121 cm. 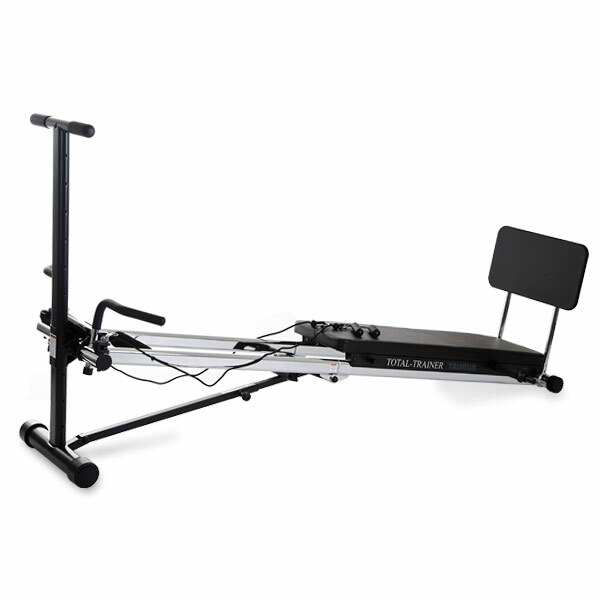 Taurus multi-gym Total Trainer add to comparison list.